After thirty-five agonizing days for federal employees living paycheck to paycheck, the longest government shutdown in American history finally ended temporarily last Friday. On December 22nd, when an agreement could not be reached over a congressional spending bill centered around the Southern border wall, tensions over funding spiraled into a government shutdown whose effects quickly escalated beyond Capitol Hill. 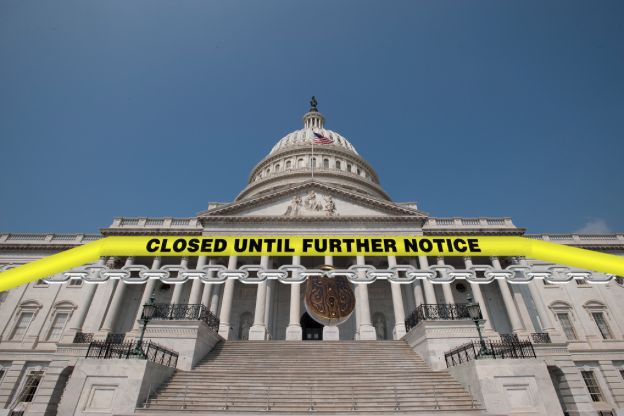 Lasting into the new year, the five-week partial shutdown, which left around 800,000 federal employees unpaid for over a month, spread to every corner of the country as many public services remained closed or understaffed, leaving millions of Americans in the lurch. “I am a single mom in panic mode,” tweeted Julie Burr, a government contract worker who did not get paid for as long as the shutdown lasted. Burr says she has picked up extra shifts at her second job, but it will not be enough to cover the rent. “If my husband is considered ‘essential’ enough to need to work while the government is closed, he should be ‘essential’ enough to pay,” said Kimerlee Roberts, a mother of three whose husband works for Customs and Border Protection. The shutdown also threatened the Supplemental Nutrition Assistance Program (SNAP), which aids around forty million Americans each year. SNAP’s funding ends in February, should the shutdown begin again. Unpaid members of the United States Coast Guard were forced to turn to food pantries. These Americans are still required to work, despite their lack of income. “There’s a lot of talk of ‘well, you’ll get paid.’ Or ‘it’ll come eventually,’” said Amber Broadway, wife of a Boston-based member of the Coast Guard. “And that’s okay. It will come eventually. And we will be very grateful when it does, but at the same time, it’s scary, because my kids need to eat today. Not eventually.” The mother of two lives at the Coast Guard Base in Buzzards Bay with her family. “It’s scary because your bills don’t go away because the government’s shutdown,” added Broadway. While the government has reopened for the time being, the effects of the shutdown will be felt by federal employees for months, or even years to come.